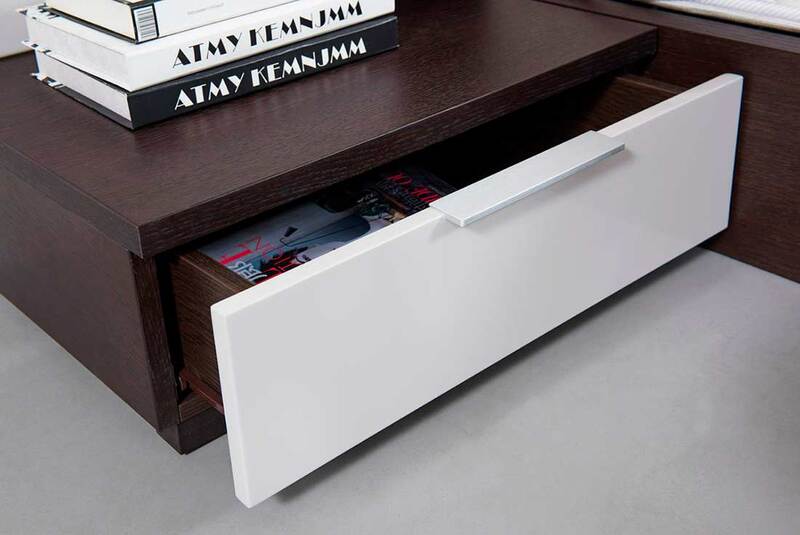 Air-Lift Slats For Underbed Storage. 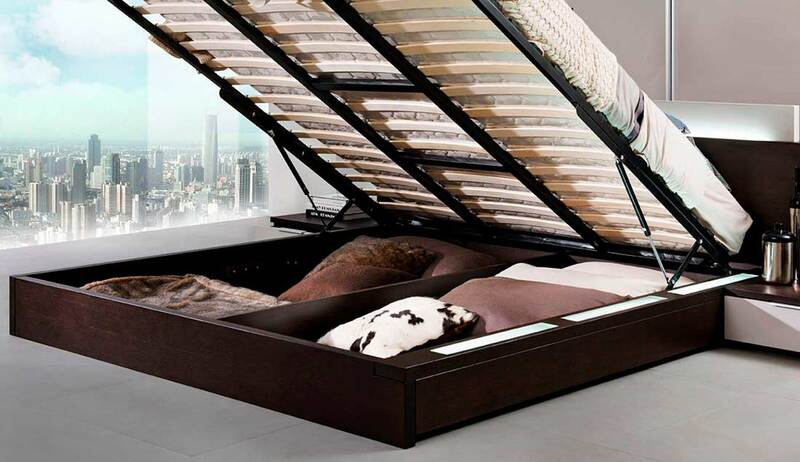 The Starting Price is for Queen bed with Nightstand. 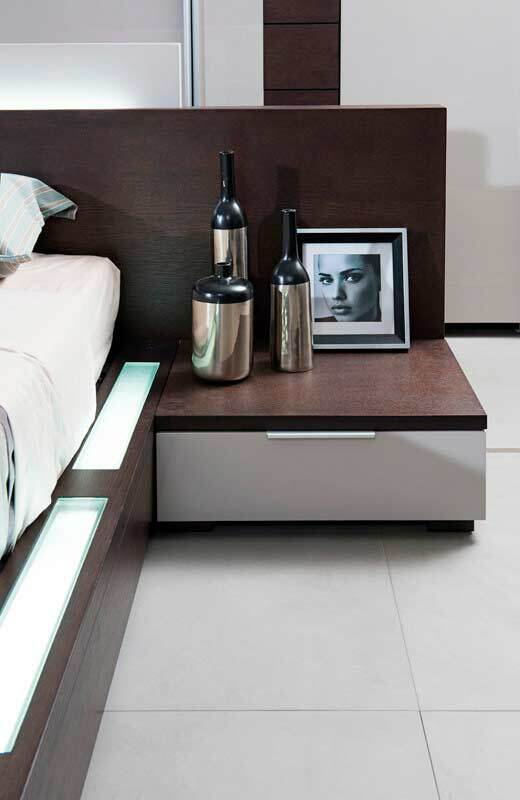 Contemporary Brown Oak Bed with Storage has a multi-purpose design featuring air-lift slats for under-bed storage. 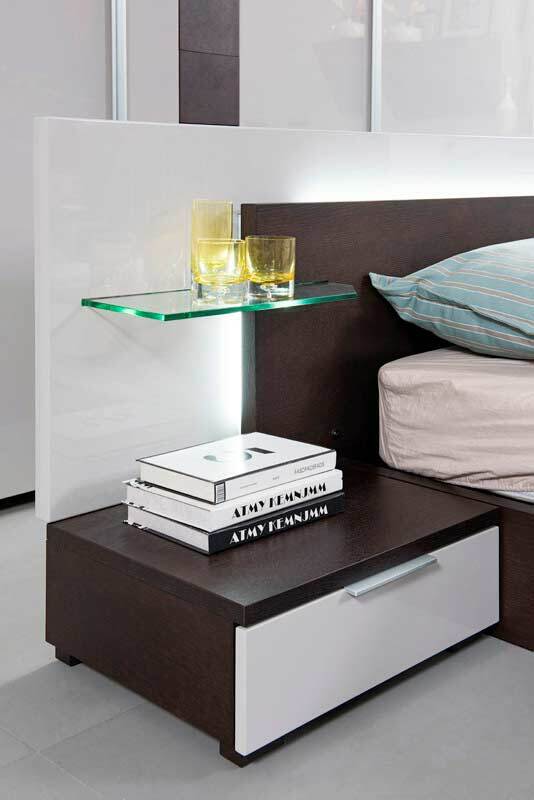 It is fitted with soft-closing single drawer nightstands on both sides and a glass shelf on the left facing side. 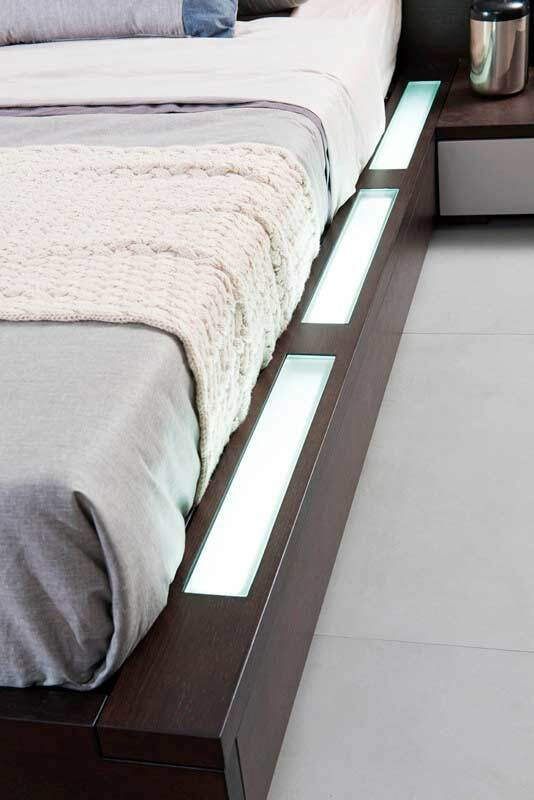 Finished in a sleek brown oak veneer, this contemporary bed has light grey accents and a lighted headboard and side rail. 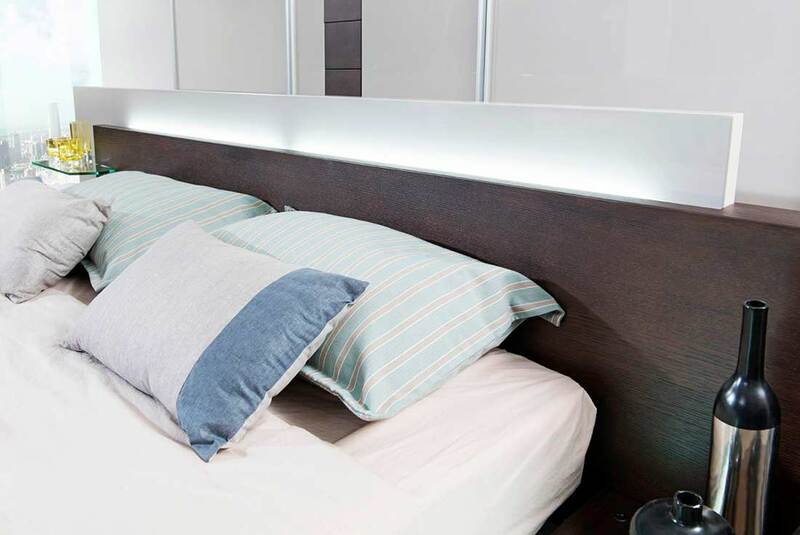 Queen Bed (N/S Included): W115" x D86" x H34"
East. 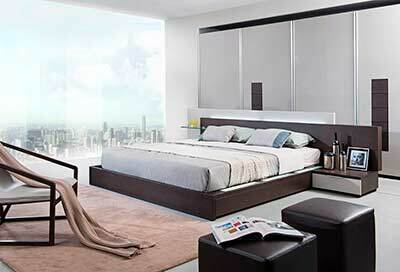 King Bed (N/S Included: W131" x D86" x H34"
Nightstand: W22" x D18" x H9"
2 Built-in Nightstands With Drawer, Lighted Walk-On Platform.